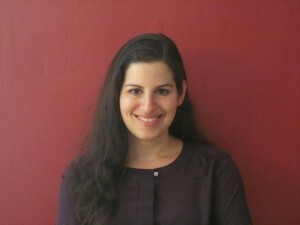 Dr. Rochelle Heller received her Bachelor degrees in Biology and Politics from Brandeis University. She earned her Doctorate of Dental Medicine Degree from New York University College of Dentistry. Dr. Heller completed a General Practice Residency at Robert Wood Johnson University Hospital, where she remains on staff practicing general dentistry and teaching residents in dental clinical skills. She is affiliated with the American Dental Association, the New Jersey Dental Association, and the Middlesex County Dental Society. She is dedicated to advance, postdoctoral study and provides her patients with a comprehensive approach to oral health. She believes in conservative, preventive dentistry, and her goal is to increase the longevity of her patient’s teeth. Dr.Heller is a different kind of dentist. Gentle, patient and caring, she takes the time to provide the best care possible. She is also well regarded by her patients for her thoroughness. Rather than being rushed, you know that she is there to serve your needs. Dr. Heller lives in Monroe New Jersey with her husband David and her three year old son Yaden. She enjoys spending time with her family, reading, scuba diving and gardening.